Mariah Carey and Lionel Richie alone are music powerhouses. Put them together and you get a memorable evening of music and entertainment. The pairing were supposed to go on tour earlier this year; however, it had to be delayed after Lionel underwent knee surgery. They finally got things underway on July 21 in Oakland and, on Monday (July 31) night, the show came to the Hollywood Bowl. Carey has been the bigger recording artist of the two, accounting for 18 of the 25 number 1's; however, she has been opening the show with a twelve song set that, quite frankly, is baffling. The name of the tour is "All the Hits", so why would almost half her set be rarities, album tracks and even a song originally done by Busta Rhymes where she provided support. Mariah recently did a residency in Las Vegas that was full of her biggest records. She's now doing an "all the hits" tour and has dropped the majority of them for songs that only appeared on the British edition of an album. The fans deserve much, much better. 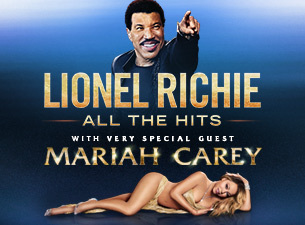 On the other hand, Lionel Richie knows how to live up to the title and give the fans what they want. Every song was a major hit, either for the Commodores or from Lionel's solo career, with the exception of a short cover of the Ohio Players' Fire, which he has been including in Brick House for years.